Telx Computers is proud to introduce to you our state of the art server support and server monitoring system and command center as part of your IT Solutions. Telx has been at the forefront of systems monitoring software for years and we bring that experience to all our Gold Membership Plan subscribers. Anyone can say they monitor your network, but the Telx Computers’ monitoring system is an entirely different experience. Our service goal is zero calls from our customers. Our reasoning being that if you have to call for service, then we didn’t do our job in detecting and fixing the problem BEFORE it got to you. This may seem like a catch-phrase, but with Telx Computers, it is our mission. We understand that early detection and repair is paramount to the health of your network and servers. Small problems can, and often do become big problems simply because they were not tended to in time. Telx Computers Preventative Care Program, which is included with every Gold Membership Plan subscription, takes care of this and every other incident. Telx Computers’ Preventative Care Program takes care of practically all potential network disturbances, seamlessly and without any downtime or disruptions to the day to day operations of your company. You will receive a notice from time to time asking you to reboot your computer so that the fixes we made behind the scenes can take effect. You won’t even know we were there fixing your problems in the first place! 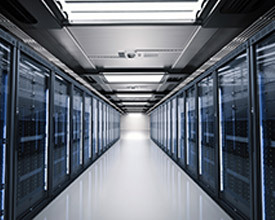 Telx Computers works behind the scenes to make sure your server works at optimum speeds and efficiency. The Telx Computers difference is service and dependability. While you are sleeping, working, shopping, or whatever else you are doing, we are monitoring your servers, getting alerts, and changing things when needed. This is part of the list of issues we track on your system when you are a GOLD member of Telx Computers’ membership family. Our trained technicians sit in front of a 50” screen that tracks, monitors and relays information about your network and servers constantly. Take note! We are always on guard to make sure your network is protected as part of our computer maintenance. This command center at our offices allows us to view, in real time, the status of your servers, and we often know about a problem before you do. Our support team gets SMS messages on all critical alerts that may occur on your system. In addition, Telx Computers’ has the ability to quarantine, cut and fix any problem on your network remotely, so we are on call 24/7. Every minute of every day, we are constantly receiving information about your network and servers. Always fixing, always adjusting, ALWAYS LOOKING OUT FOR YOU!!! Telx Computers understands that computer malfunctions equal downtime for your business and that means lost revenues! Telx Computers takes your server monitoring systems to the next level and provides a service that is very simple for our clients. Start keeping more of your money by signing up for Telx Computers’ Gold Membership Plan today!